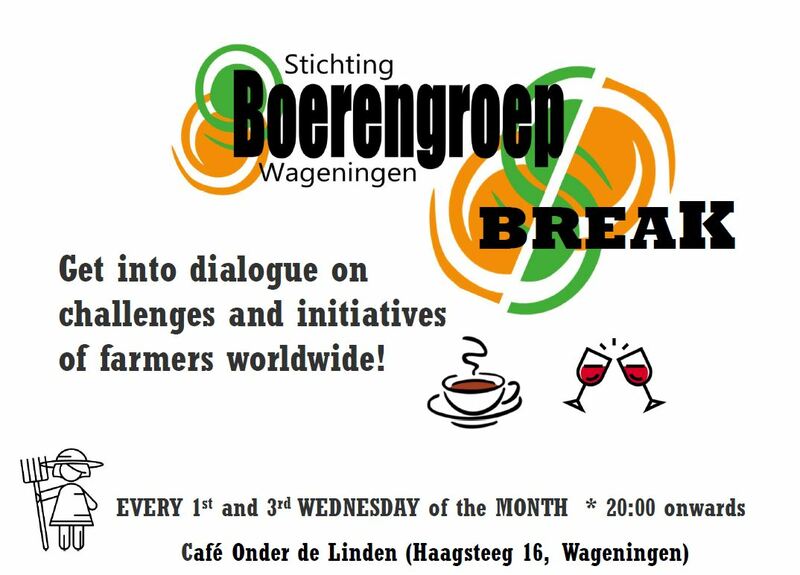 The Boerengroep Breaks are an informal space where you can meet up with other students, share ideas and get into dialogue on challenges and new initiatives that farmers engage in in the Netherlands and around the world. 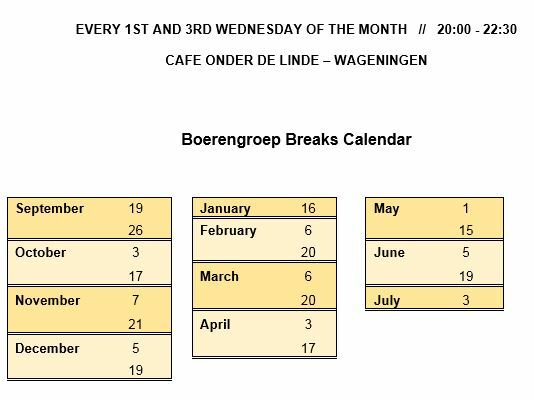 Every other Wednesday evening a jolly meet-up is held in Wageningen’s Beer Café and Brewery “Onder de Linden’’. We have not been able to sit under the linden yet, as the sultry summer evenings had already gone by the time of the first Break this fall. But that’s to come! And till that time we will continue to shelter from the cold inside this lovely woody bar. 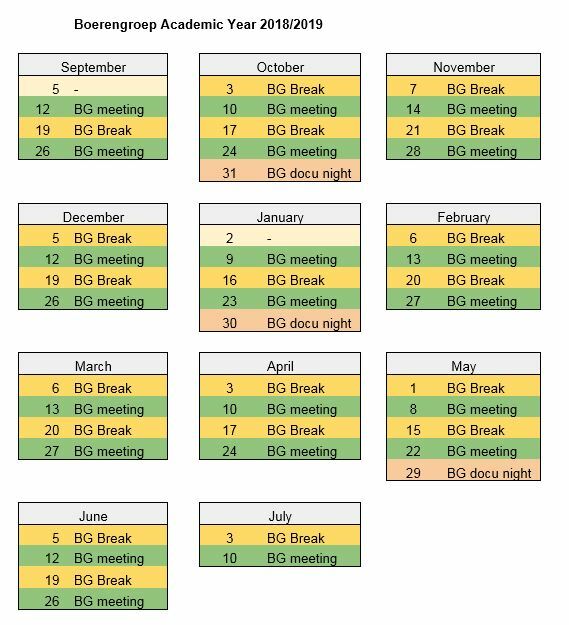 The Breaks are meant as a low threshold way to make acquaintance with Boerengroep – to date the Boerengroepies, so to say. The breaks answer our wish to meet with those who are interested in Boerengroep. We have wanted to provide them a mid-way between only casually attending events and jumping into the board straight away. As Boerengroep does not work with memberships, there used to be only two ways to have people commit themselves to the organisation. You seize their scarf during lecture-event, and threaten they only get it back if they attend the next board meeting. Or you genuinely tell them the option of board membership on the first encounter – resulting in not less scared, weary faces. So come meet us in this lovely bar that is amongst the oldest of the Netherlands. Its brewery warehouse used to host sheep, when it was still a sheepfold. We farm lovers like to imagine the heather still there around, as we sip our beers. Every other Wednesdays at 20:00 in Café Onder de Linden, for all old and new faces! Check the facebook events to be updated about special editions.